That's so cool! -try's to touch Shika.... doesn't work- damn... -trys to touch Gaara- NOOOO stupid comp! I'm lovin the pic! Foreshortening's great, it's colored, it has all the main people from the series. Excellent. 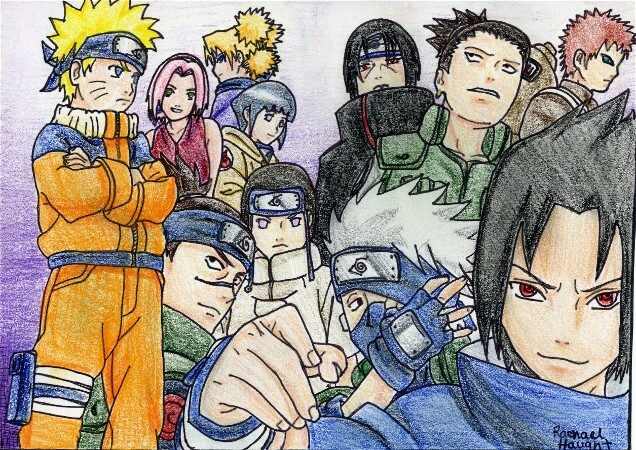 Wow!This is well done!Go Kakashi! That's amazing!!!!!! 0.0 FAVS!!!!!!! IT IS AWESOME!!!!!! You are awesome! This pic totally rocks! They look totally like the anime!